An ordinary resolution is refers to a resolution, passed by the members of the company by a bare majority. A special resolution, on the other hand, is the resolution, that is affirmed by the members of the company by three-fourth majority. In a company, the items of business to be transacted at a GM (General Meeting), are presented as motions. The ‘motion’ refers to a proposal put forward, for discussion and adoption at the meeting. If the motion is approved unanimously, by the members present at the meeting, it is called as a resolution. There are two types of resolution, which is needed to be passed in different situations, they are Ordinary Resolution and Special Resolution. So, let’s discuss the differences between ordinary resolution and special resolution. Meaning When at the general meeting, simple majority is required to move the resolution, it is called as Ordinary Resolution. When at the general meeting, super majority is required to pass the resolution, it is known as Special Resolution. Consent of members At least 51% members should be in favor of the motion. At least 75% members should be in favor of the motion. Registration with ROC A copy of OR should be filed with ROC, in certain cases. A copy of SR must be filed with ROC. Business transacted Ordinary business or special business, depending on requirements of the Act. Special business. Ordinary resolution means a resolution in which the votes cast in favour of resolution exceeds the votes cast against it. The resolution affirmed by more than half members, present in person or proxy at the General Meeting. It should be passed by votes cast, by any of the following modes, i.e. show of hands, polling or electronically, in favour of the resolution. Retirement and appointment of Directors. Retirement and appointment of Auditors and fixing their remuneration. Special Resolution (SR) is a resolution in which the votes cast in favour of the resolution must be three times higher than the votes cast against it. There are certain things, which can be done by the company only if a special resolution is affirmed at the duly constituted general meeting. The notice of the general meeting should be duly given to the members, and the notice should contain the intention to purpose the resolution as SR to be mentioned specifically. The resolution is required to be passed by any methods, such as voting on a show of hands or polling or electronically by the members present in person or proxy or postal ballot. Ordinary Resolution is one wherein simple majority is required to move the resolution at the general meeting. Special Resolution means a resolution in which supermajority is needed to pass the resolution at the general meeting. In the ordinary resolution, consent of at least 51% members, is required for the resolution to be passed. On the other hand, the special resolution requires the consent of at least 75% members, in favour of the resolution. The copy of an ordinary resolution, signed by the officer of the company should be filed with the registrar only in certain cases. As against this, a printed or handwritten copy of a special resolution, containing the signature of the officer of the company must be filed with the Registrar of Companies (ROC) within 30 days. Ordinary Resolution passed to transact Ordinary business. However, a special business can be transacted via special resolution or ordinary resolution, as per the requirements of the Companies Act. 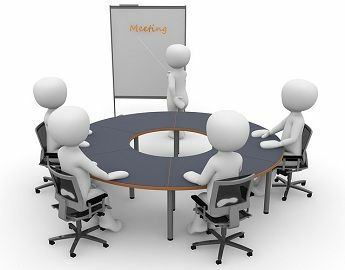 In a company, meetings are held to arrive at decisions, by voting upon formal proposals put to the meeting. Resolutions are nothing but the company’s expression of will. Ordinary Resolution is sufficient to transact the business, apart from the ordinary business are Change of company’s name, at the direction of ROC, when the name registered previously is incorrect or wrong or Rectification of company’s name as directed by Central Government, remuneration of cost accountant. Matters which require Special Resolution are the issue of sweat equity shares, alteration in the provisions of the memorandum of association, alteration of articles of association, buy back of shares or securities, variation in the objects of the prospectus, shifting of registered office of the company and so on.